Bulgaria's capital city of Sofia is the most affordable destination for tourists in Europe in March with average prices of BGN 115, according to the Trivago Hotel Price Index. According to the latest survey held in more than 50 European cities and resorts by hotel comparison website trivago.co.uk, the cheapest hotels in Bulgaria are located in Veliko Tarnovo and cost an average of BGN 76 per night. 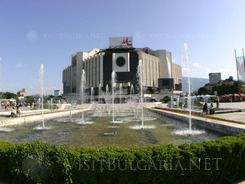 Hotels in the Black Sea resorts Sunny Beach, Sozopol and Nessebar cost an average of BGN 80-86 per night. The Golden Sands resort hotels are the most expensive accommodation in Bulgaria included in the survey with an average of BGN 131 per night. The most expensive European city is Geneva with the record BGN 542 per night. Hotels in Lodnon, Milan, Venice and Paris cost between BGN 321-BGN 366 per night. Hotels in Warsaw, Budapest and Bucharest offers accommodation for BGN 130-140.